Date:Saturday, June 5, 2010 Time:10:00am - 9:00pm Location:Select Bath & Body Works locations This Saturday, over 1.5 million samples of Anti-Bac PocketBac® — the biggest little weapon in the fight against germs- will be given away!Click http://bit.ly/akhH3L and input your zip code to see a list of participating stores. Try the new AVEENO NOURISH+ Hair Care Collection! Click here to answer some questions and select the AVEENO® NOURISH+ Shampoo and Conditioner sample you would like to try. Free Download - 17 by WyclefClick here for the link. If this does not work, you'll need to go to the Ritz Cracker Facebook page, "Like" them, and get the link that way. I love Restaurant Week!! Its a way to sample food from the fancy-schmancy restaurants for up to half the price. Los Angeles, San Francisco, Orange County have some of the best... and now, Fullerton will be showcasing their restaurants. I just checked their web site, and it looks like they're still building it. Check back for updates... and I hope higher end ones like "Cherch" participates. Thank you goORANGEcoast for the headsup! June 11: Click here for an update on the participants! Thank you Fast Food Maven! Get a week's supply of Arm and Hammers Advance White Toothpaste. Now you can enjoy coffee any time, any where with the Starbucks VIA Brew. Click here for a free sample. Thanks, Ilovefreethings for the info! One-Day Pass to Your Local Sam's Club. Good Through June 24th, 2010. Visit this offer, print that page out and bring it to your local Club. Thank you to OC Register's Fast Food Maven for this information! Purchase any breakfast on June 9 (between 7-11am) and get 4 free muffins. Must present coupon! Click here for a bigger picture. $15 to spend on Ice Cream or Frozen Yogurt for only $7.50! That's a savings of 50% off. Celebrate National Donut Day with Tim Hortons on Friday June 4, 2010. Click here to sign up for the free sample. You will be asked for your Costco membership number. Dove® Damage Therapy Daily Moisture Shampoo and Conditioner with Patented MICRO MOISTURE Serum nourishes dry, rough hair to restore softness. Formula with patented MICRO MOISTURE SERUM effectively nourishes hair to help lock in essential moisture. Leaves hair looking healthy, soft and smooth without weighing it down. Get $30 Worth of Drinks for only $15 at Bacchus' Secret Cellar Wine Bar. Click here for more information. Hurry... this offer ends in one day! Sign up for Armstrong Garden's email club and get tips on gardening,in store specials, and, on your birthday, you'll get a free gift: any premium flower kit. I'm not much of a gardener. My garden consists of a patio and a few potted plants. In fact, I have a terrible green thumb, so when I first read the free offer, I thought it was a pack of seeds or something cheesy. Head over to the Laguna Beach Art Walk on the first Thursday of every month 6-9 PM. Join the Festival of Arts artists fund as we introduce BLUE, the Art-To-Go collection for 2010. Please wear BLUE to support the theme. For 3 hours of fun, and a mere $5, Home Brewing Supply Company offers a Beginner's Home Brewing Class bi-weekly on the 1st and 3rd Thursdays (next one is June 3rd). Classes run 6:30-9:30 PM, so make sure to eat beforehand. To reserve a seat, call in advance. Click HERE for class details and directions. Start your day with breakfast at Corner Bakery. They have great combo's like bagel and coffee for $2.99, or for a limited time get a free coffee with any breakfast purchase, like their coffee cakes, panini, breakfast scrambles, and more! 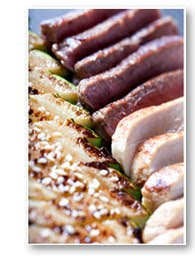 This month’s Benihana's Chef’s Special is a tender filet mignon and hibachi chicken for two for only $39*! The special is served with Benihana soup, Benihana salad, shrimp appetizer, mushrooms, hibachi vegetables, homemade dipping sauces, steamed rice and Japanese hot green tea. *The Chef’s Special is not available on Sunday, June 20th. 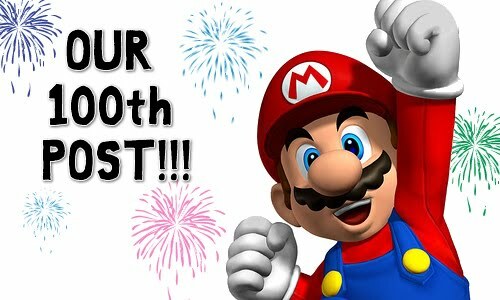 Remember if its your birthday, sign up for the Chef Table club, and apply $30 toward the bill. That means 2 people can dine for $9.00 (before tax and tip). New promotion from McDonalds: When you purchase the Shrek pack of McNuggets, or a Shrek glassware with any food purchase, you receive a code. Go online and enter the code. You can pick from either a free Redbox rental, free ActiVision Shrek game, or 25 free Snapfish prints. Every code is a winner! Come support up and coming comics and they record a Live Comedy DVD. The Laughs will be high. $5 at the door (cash only). Get Tuesday two-for-one deals at the Anaheim House of Blues in Downtown Disney. Click here to see the Live Nation ticket service is two-for-one deals for shows this week at the Anaheim House of Blues. Wait, there's more! You gotta eat or drink, right? Click here and get a $25 gift certificate from Restaurants.com for $15. There’s a minimum purchase required, and you can not use it for the Gospel Brunch or special events. They will tack on 18% gratuity to the total bill. Note: any gift certificates you purchase from Restaurants.com have strings attached, so read the fine print carefully to make sure this will work for you. Oh, and they have Jukebox Fridays with free admission in the Voodoo Lounge! You must be able to view YouTube to get this offer. When prompted, select one of the 2 selections to get your free Gillette razor. New Chick Fil A store opening in Laguna Niguel, CA on Thursday, June 3rd. First 100 customers get FREE meals for a year! No lie! Chick Fil A does this for all their grand openings.